City of Bastion was once a town where civilians lives. Until Tiberium meteors came and blew up half of the town, spawning tiberium and some of civilians became visceroids. Civilians transformed the town into a defensive city, to protect themselves at all the cost from infected areas. Across the massive body of lake, there are more surviving civilians who wanders around near the train stations. They are usually protected by infantries and tanks. There are capturable buildings in the north of the city, which is known as "City of Bastion" for it tough defense. 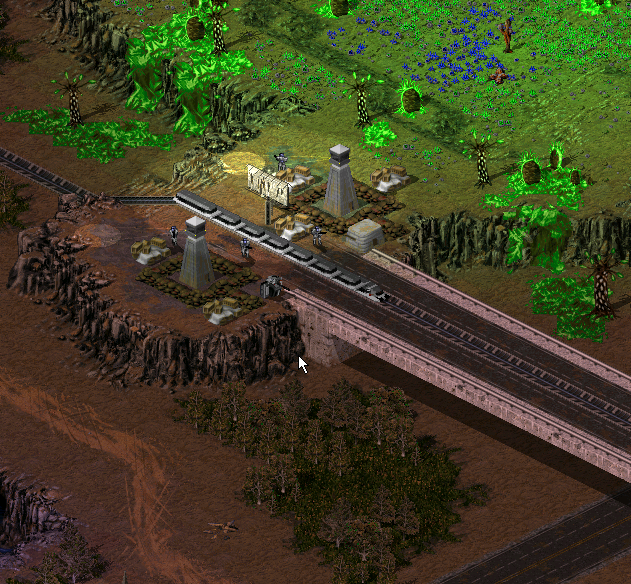 There are plenty of tiberium fields, also it have train that functions fine. Multiple ways to get to your enemies, alot of suprise ways. Trucks that are loaded will drop crates if you destroy them. Please rate this I really want to get this spotlight. City of Bastion main base. It is heavily protected, an airforce will do the dirty job for you. Thanks, and yeah, but it makes the map more interesting in my opinion. Why do trains do that weird overlapping thing!? Does this always happen I can't remember? Uhhh, is it suppose to? Like zoom out? I'm not quite sure how to zoom out for mega preview. There is no zoom out. Then combine all screenshots together to one big picture. whats the max resolution again that you can set besides the given 800x600? Might do that first before doing this. Wow the effort, TI got once again more epic for me knowing that. whats the max resolution again that you can set besides the given 800x600? The maximum resolution which your screen supports. 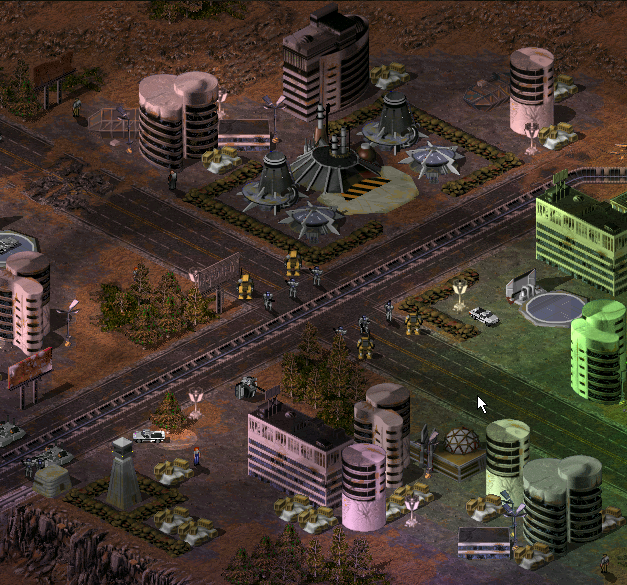 Updated: Added City of Bastion that can be played on Tiberian Sun version. It isn't the same map you used for your campaign ?